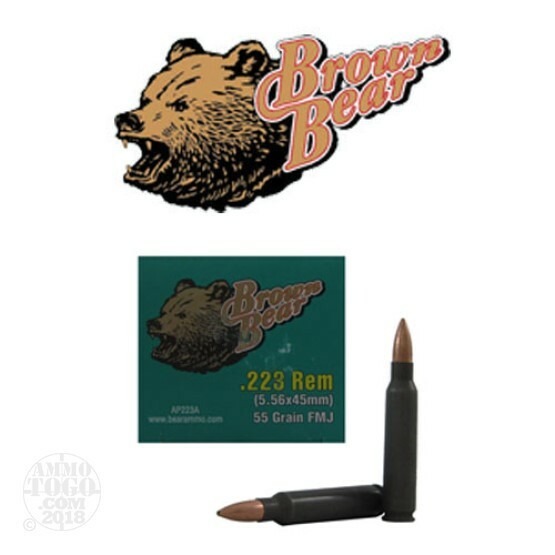 This is 223 Rem Brown Bear Polymer Cased 55gr. Full Metal Jacket Ammo. This ammo is manufactured by JSC Barnaul Machine-Tool Plant in Russia. The Barnaul plant is considered the premier ammunition plant in Russia, and they supply the majority of the ammo to the Russian military. This ammo is 100% non-corrosive, steel cased ammo. This ammo is packed in 20rd. boxes. Muzzle Velocity: 3130 fps.